29 September hallmarks World Heart Day, a day devoted to raise awareness about cardiovascular diseases in a bid to vanquish this killer disease. The year of 2000 witnessed the maiden celebration of World Heart Day. The chief purpose was to make common and unassuming people informed that stroke and heart diseases claim a staggering 17.3 million lives every year. 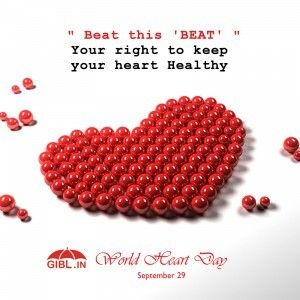 Since 2000, organizers of World Heart Day come up with a particular theme every year and this year’s theme goes like this - 'Join the global movement for better heart-healthy choices, wherever you live, work and play'. The World Heart Federation is leaving no stone unturned to make us become proactive and take initiatives to reduce stroke and heart disease. People from all walks of life are responsible for spreading the message; from individuals to governments, there is no exemption for anyone. A myriad of events take place across the globe to uphold healthy hearts. An array of interesting events like charities, walks and runs, health checks, public talks, seminars, shows and exhibitions take place to create and spread awareness. 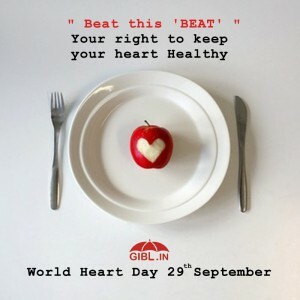 The celebration of World Heart Day is all the more relevant at this crucial juncture when incidents of poor diet, obesity and physical inactivity are constantly on the rise. It is an alarming fact that 80% of untimely deaths from CVD could be avoided if one can control three fatal risk factors; usage of tobacco and alcohol, unhealthy diet, physical inactivity. It is hoped that organizations will be even more proactive in spreading the awareness in coming days and the very purpose of marking 29th September as World Heart Day will be served to perfection. Despite of all efforts being made, we cannot ensure a healthy life as ailments can come at anytime. We, therefore, should focus on health insurance schemes to remain safe. There cannot be a more fitting tribute to World Heart Day than being armed with a health cover.